You will love the warmth, sheen and drape of Juniper Moon Farm Findley DK once worked up into a finished fabric. 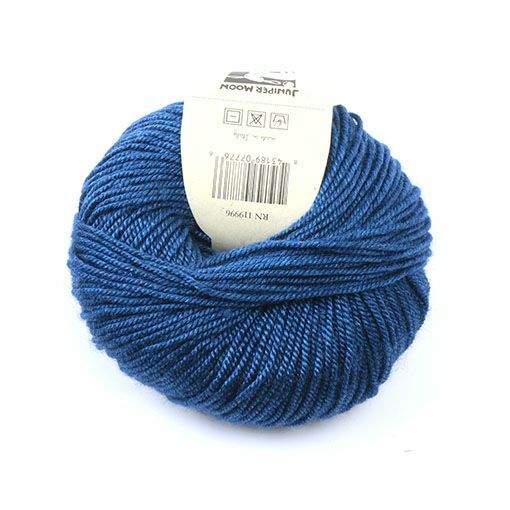 Go for patterns with cables and textured stitches because the 2-ply spin of this merino and silk blend yarn will produce a fabric that is uniform with wonderful stitch definition. Findley DK is available in a wide range of neutral to bold colors and Juniper Moon Farm provides fantastic pattern support ranging from accessories to garments.